Download CBSE Class 10th Hindi (Course A) question paper in PDF format. This exam was held today (i.e., 6 March 2018) from 10.30 A.M. to 1.30 PM. 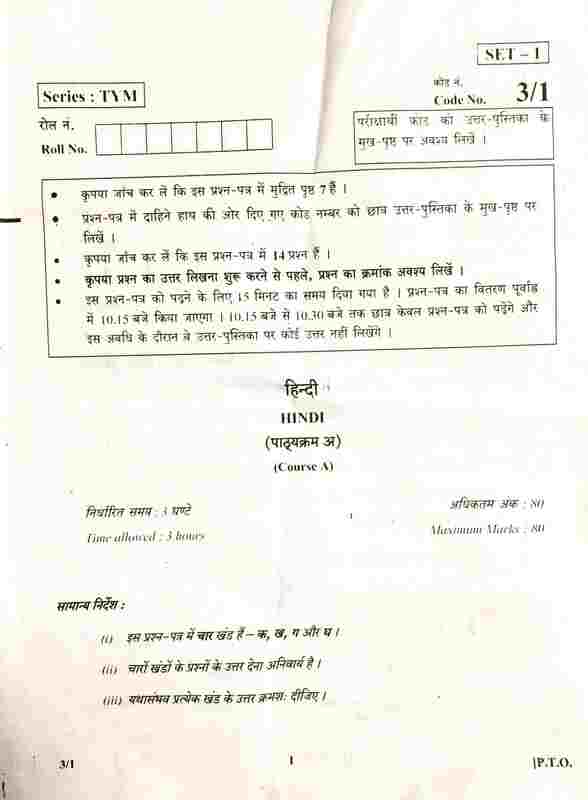 Download CBSE Class 10th Hindi (Course A) question paper in PDF format. Link to download the complete question paper is given at the end of this article. This exam was held today (i.e., 6 March 2018) from 10.30 A.M. to 1.30 P.M.
Students appeared for this exam said that the paper was quite easy and all the questions are from the complete CBSE Syllabus. CBSE Class 10 Hindi (Course A) paper carried a total of 80 marks. There were 4 sections in the complete paper i.e., क, ख, ग, घ.